If you remember a certain Leeds based letting agent named Providence Properties, who featured on many websites a few years ago and on BBC Watchdog, you may remember that they disappeared almost over night and new company sprang up in their place. Where Providence Properties once sat, The Student Property Shop rose like a phoenix from the flames. For legal reasons of course I should point out that I’m not in any way suggesting that Providence Properties and The Student Property Shop are connected, they just have the same premises, the same staff, the same vehicles and their websites are (or were) on the same server. No connection whatsoever. The Student Property Shop was also the subject of a student demo a while back, over fees that weren’t being returned. 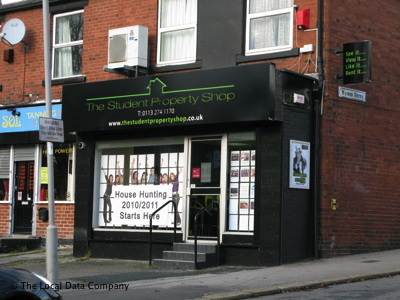 Anyhow, things have taken a new twist once again; you see, the real Student Property Shop (website www.studentpropertyshop.com) are absolutely nothing to do with the Leeds outfit ran by the Zamans. The owners of Student Property Shop were keen to distance themselves from the whole sordid affair years ago when they emailed me to point out the distinction, and now they’ve emailed me again… this time with some very good, and very funny, news. You see, if you register a domain name that encroaches on someone else’s trademark or company, you can have ownership of that domain challenged – and Student Property Shop (the good guys) reported The Student Property Shop to Nominet, the body that governs .uk domains, and they have upheld the complaint. As a result the Leeds letting agent The Student Property Shop has had their domain name forcibly removed and given to the real Student Property Shop. This means their website no longer works, their email no longer works and they can’t be found on Google. Freakin’ hilarious! Following our complaint to Nominet (the industry regulator controlling the registration of .uk domains), the ownership of the domain name, thestudentpropertyshop.co.uk has been transferred to us. Nominet’s ‘Dispute Resolution Service’ commissioned a report from an independent legal expert, who concluded that “an Abusive Registration” took place by the previous owner of the domain name, who would be taking “unfair advantage” of our rights to the ‘Student Property Shop’ name; the recommendation was to the transfer the domain to us on 19th August 2011 to protect our trade mark. Of course, Providence Properties lost their domain name a while back so the whole Internet can see just what has happened during the course of this story. That’s two domain names that have been lost by companies at the same premises in Leeds. I wonder what they’ll do next?